The Crusades. At one time, the French Kings spent most of their reigns quelling turbulent barons. 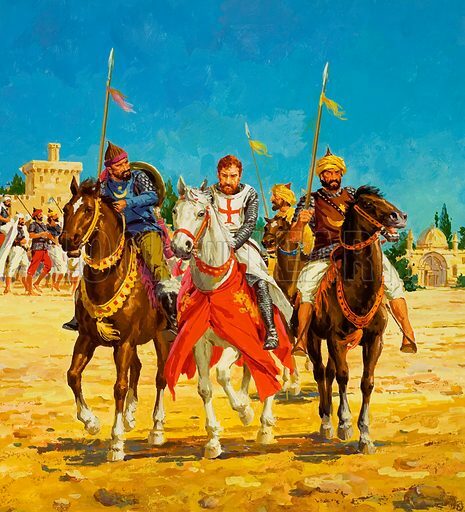 But then came the Crusades to give them a sense of mission and purpose. Original artwork for cover of Look and Learn issue no 666 (19 October 1974).